So many details are involved in creating a beautiful wedding, but none make the same impact as your wedding flowers. You've begun planning for the biggest day in your life. Let our experienced team help get you the rest of the way there. With our proven background and knowledge of floral décor, we will help you choose the right flowers, styles and containers to bring your ideas to life. Part of making sure that your wedding flowers are perfect is making sure that each participant is well attended with personal flowers. 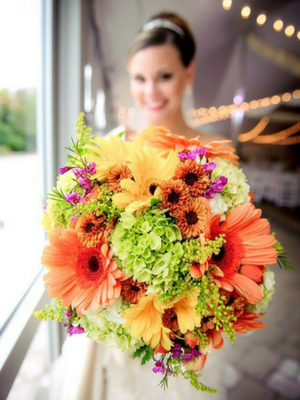 Personal flowers include your bridal bouquets, bridesmaid bouquets, boutonnieres for fathers, groomsmen and the groom, and corsages for mothers and grandmothers. From flowers for ring bearers and flower girls to throw bouquets for your reception, we're ready to help you plan this very special part of your wedding flowers. 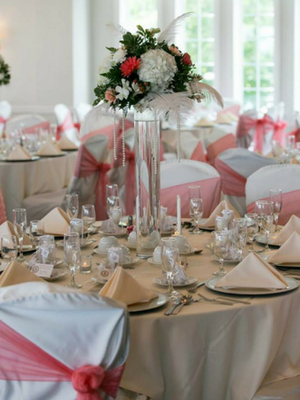 We can produce unforgettable reception flowers, including centerpieces, flowers for the gift and serving tables, wedding cake toppers, throw bouquets and any other floral needs. An English Garden Wedding & Event Florals can't wait to be part of your wedding celebration with the best in wedding flowers. 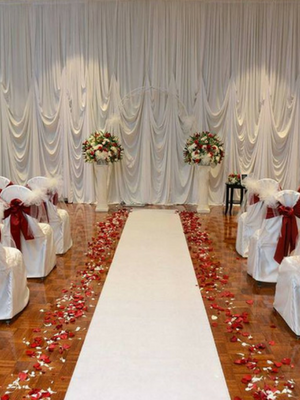 After all, receptions are where the fun begins so let us create an atmosphere that will leave you breathless!